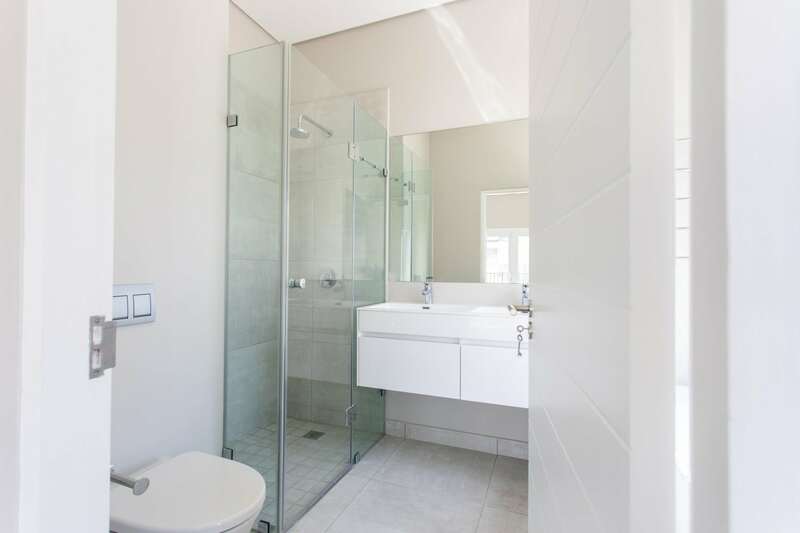 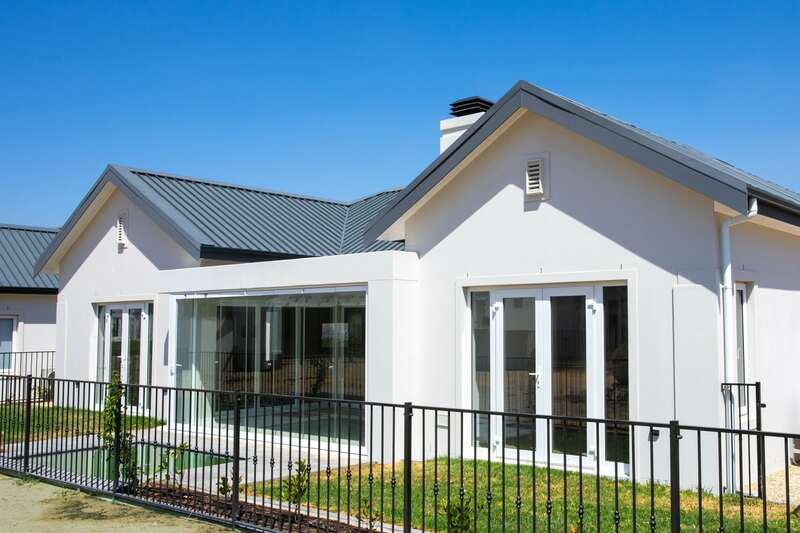 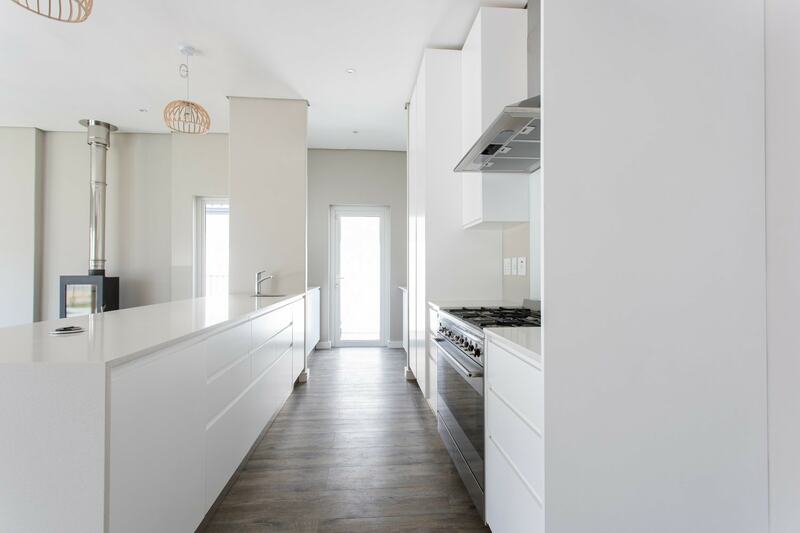 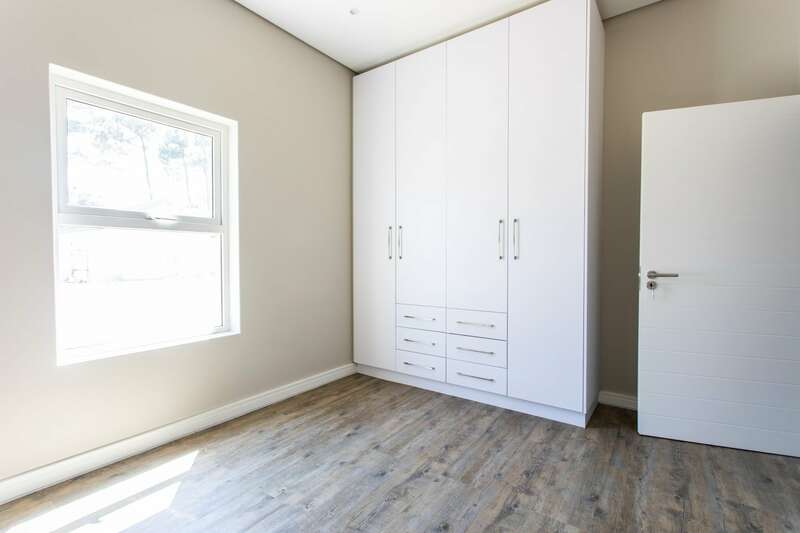 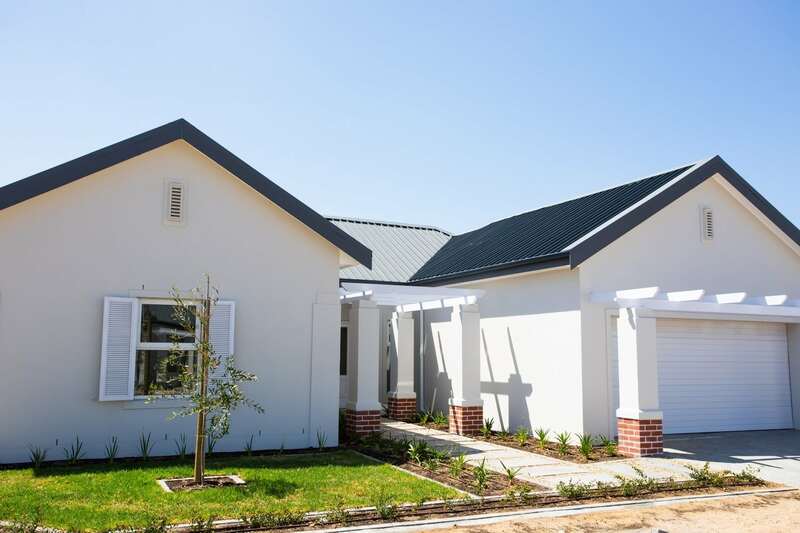 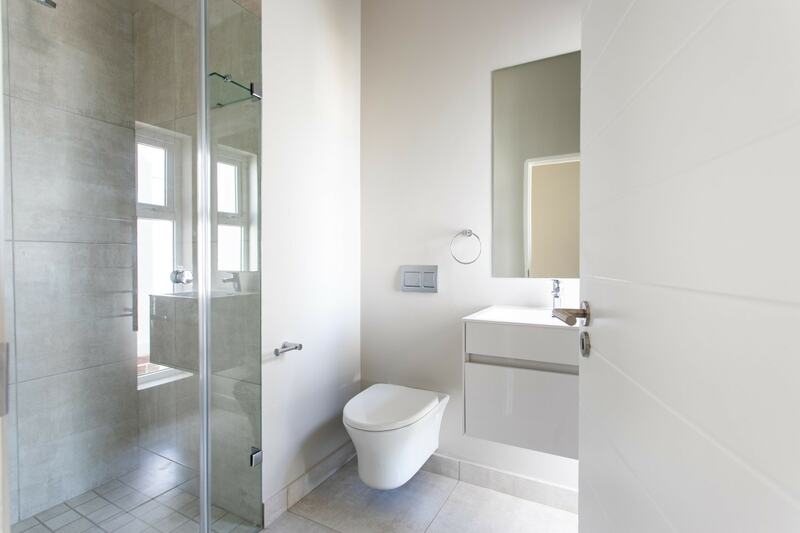 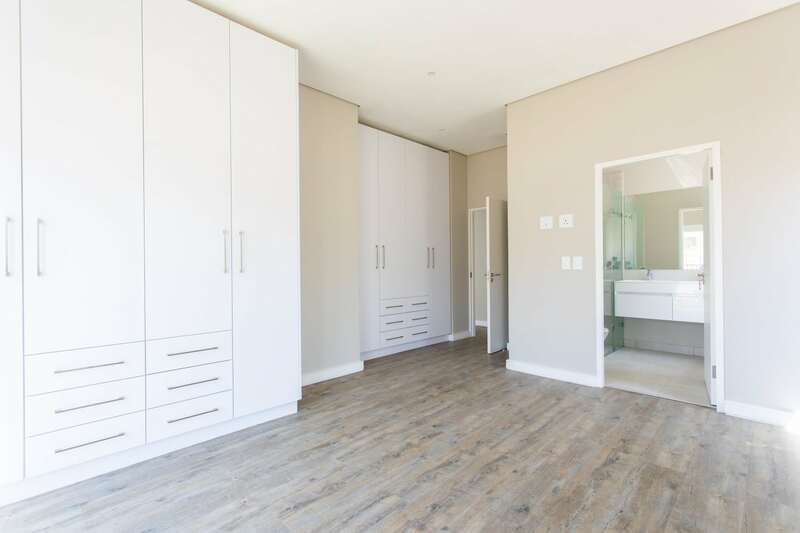 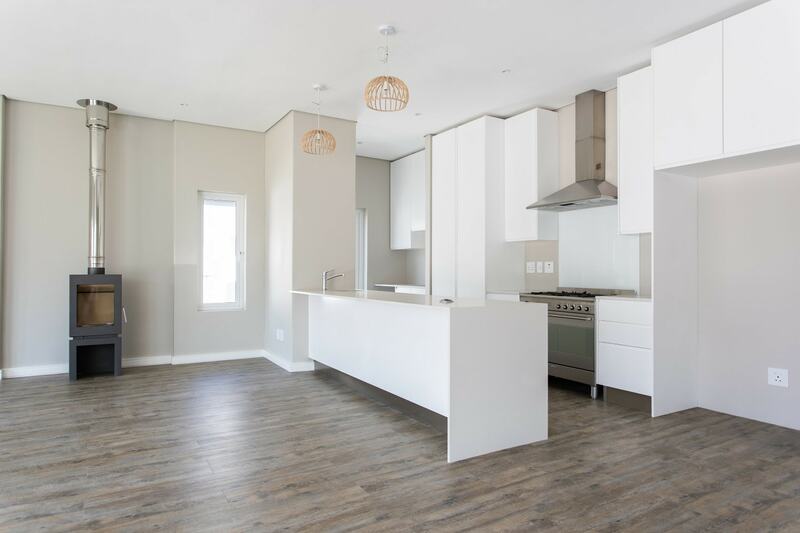 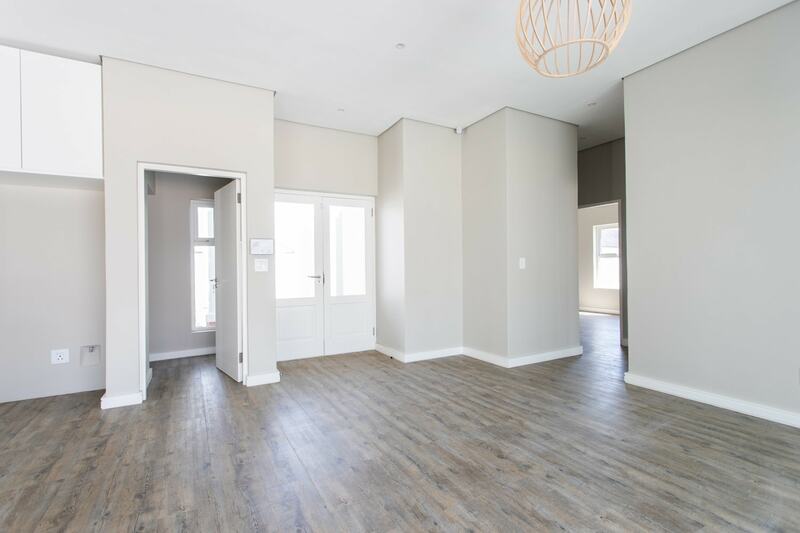 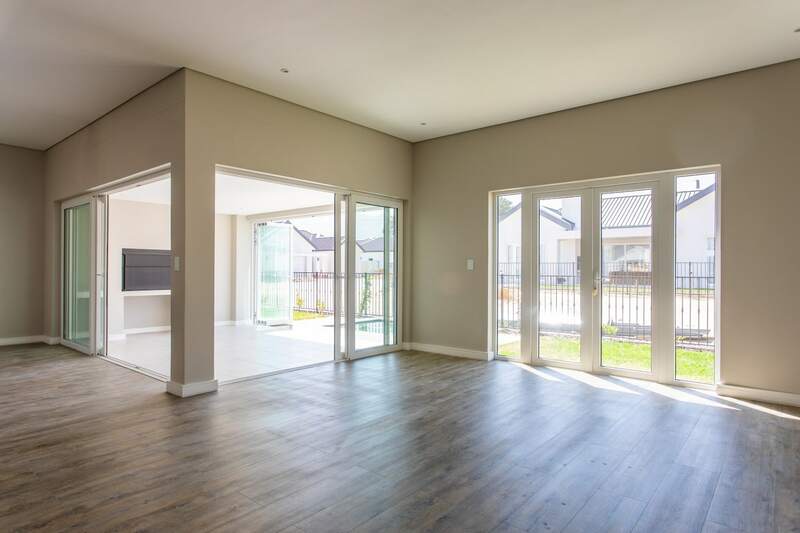 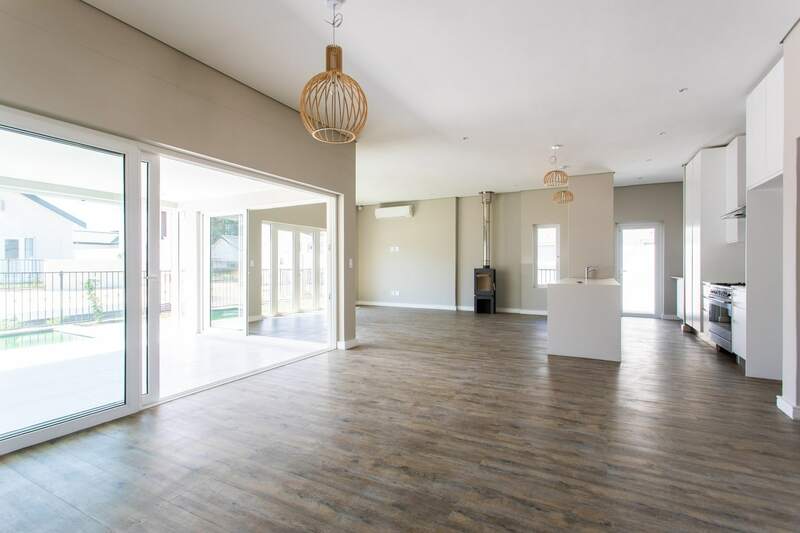 This newly built property offers three bedrooms, two bathrooms, one-bathroom en-suite and a double garage. 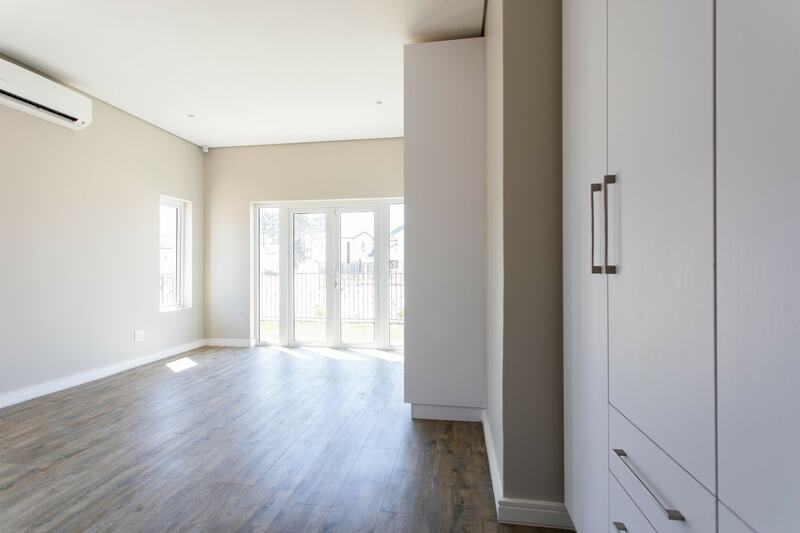 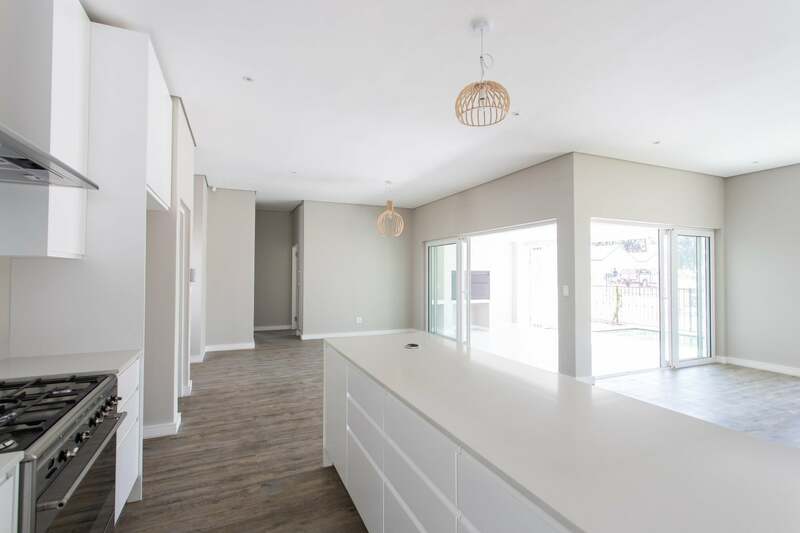 The open living space has an open plan kitchen, dining area and a lounge with a fire place. 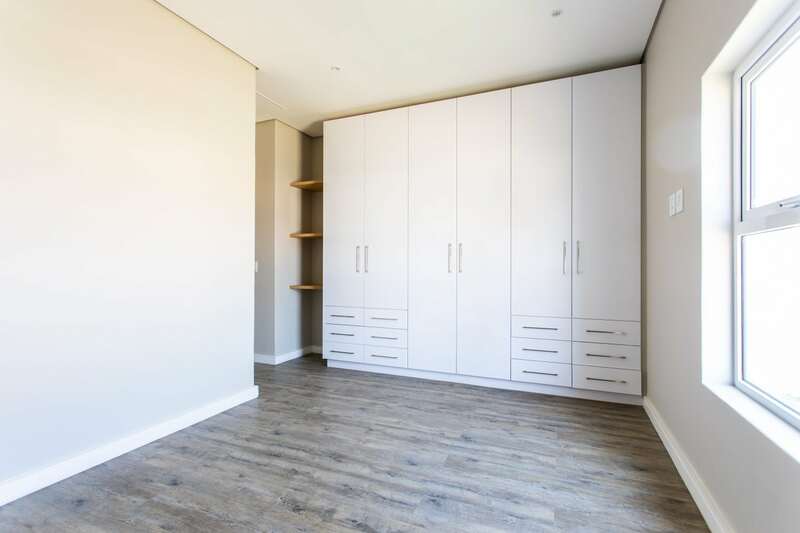 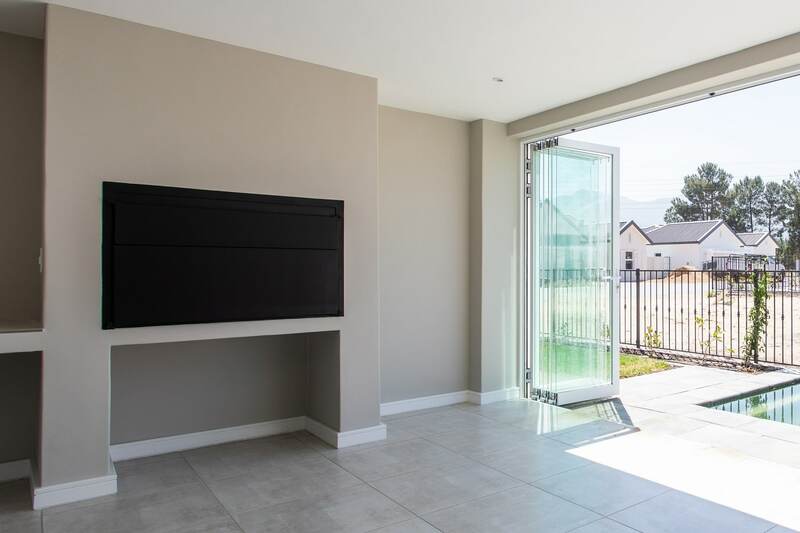 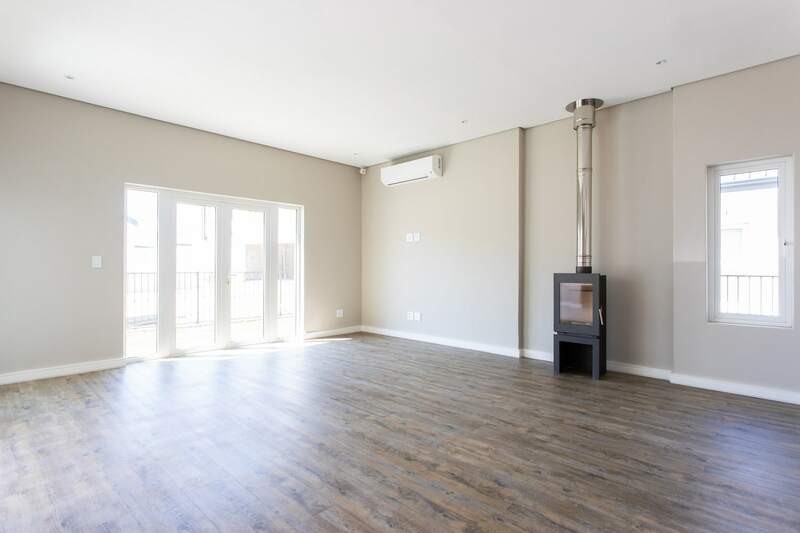 There is an enclosed braai room with a built-in braai. 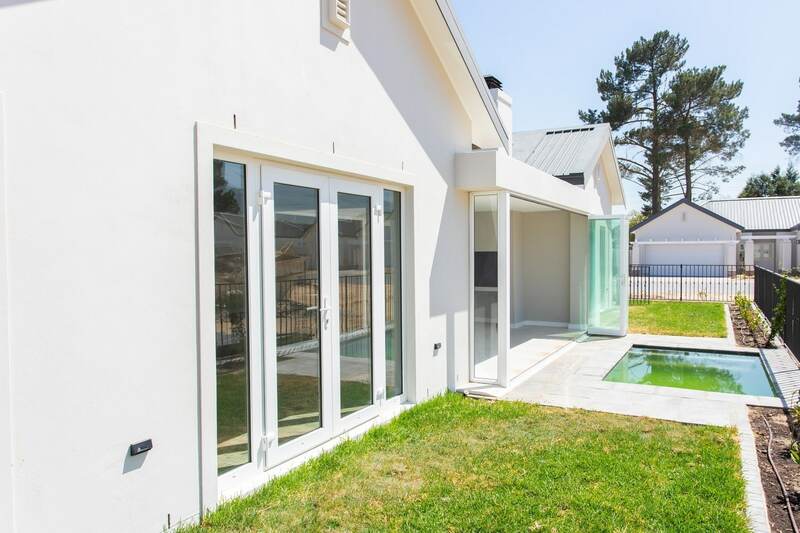 The garden area is enclosed and there is a swimming pool.